We offer the best in door, mirror, shelving and shower enclosure services. Please feel free to reach out with any questions or business inquiries you may have. 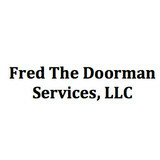 Fred The Doorman Services Company specializes in sales, repair and installation of commercial doors, locks and hardware. Servicing the Miami Dade County, Broward County, Palm Beach County, Martin County and St. Lucie County areas.. We'll diagnose any door problem that you’re experiencing and, will replace with grade one products. All are parts are ADA approved. 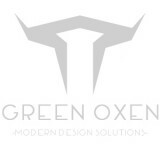 We stand for great quality, great door services and install great products for you. 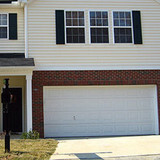 Call us for your door services We believes in providing you with the services you need. Are prices are very competitive but our quality work never suffers. It does not matter if you need to fix a large commercial door or need to replace the glass in a glass door; we will be there when you need! For many years, Sliding Door Repair Miami has been providing Florida and surrounding areas with the most trusted and reliable sliding door repair services. All of our specialists are employees of our company. We will never send subcontractors to your home or business. Our sliding door repair business has been built on total commitment and honesty to customer satisfaction. Are in need of sliding door repair services? 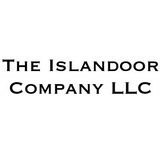 If you need sliding door repair in Florida so don't waste your time give us a call at 305-850-6166 and visit the website for more information. "If you are looking for someone that knows all about how to ensure that your property is secured at its best, then you need to know one thing: with a call to Davie Locksmith Master, we can provide the best help that you seek at some of the finest rates around. It is crucial that you call Davie Locksmith Master whenever you need our team to be there to help you out today, and no matter if you need Davie Locksmith Master to provide you with new auto lock installations for your vehicle and you need us to offer you with re-keying auto locks, know that Davie Locksmith Master is going to be there to help you out today. In addition, Davie Locksmith Master is going to provide the best bump-proof lock installations for your home and even deadbolts as well, so give Davie Locksmith Master a call now and learn about what we plan to do to help you today. We can even provide you with commercial security services for your business such as offering lockbox installations and even fire/panic devices as well, so contact our team today and learn about what we can do to do to help you. It is imperative that you call Davie Locksmith Master whenever you need us, and no matter if you need Davie Locksmith Master to offer emergency security services such as offering broken key extractions and even combination lock changes as well, so call Davie Locksmith Master now and learn all about what we plan to do for you today!" Keys Plus Locksmith has been providing Locksmith Services in Broward and Palm Beach County for over 25 years. We pride ourselves on providing fast and professional service at a low cost to our customers. We are available 24/7 Year Round to assist you with any security issue you have. All of our phones are answered personally by the locksmith. We are licensed, bonded and insured. Our mobile locksmith comes directly to you, so there is no need to drive. When you are looking for someone that knows all about how to ensure that your property is secured at its best, then you need to know one thing: with a call to Ulysses Locksmith, we can be there to offer the best help that you seek at some of the finest rates around. It is crucial that you call Ulysses Locksmith whenever you need our team to be there to help you out the most, and no matter if you need Ulysses Locksmith to provide you with auto lock installations for your vehicle or you need Ulysses Locksmith to offer re-keying auto lock solutions and more, know that Ulysses Locksmith is going to be there to offer the best help that you seek at an amazing rate. From providing you with master key lock system installations and even providing you with lockbox installations for your property, know that Ulysses Locksmith is going to help you out at its best. We can even provide you with window lock installations and even provide you with deadbolt installations as well, know that we are ready to help you. It is crucial that you call Ulysses Locksmith whenever you need us to be there to help you out the most, and no matter if you need Ulysses Locksmith to offer broken key extractions and even combination lock changes as well, so call Ulysses Locksmith now and learn more about what we plan to do to help you out whenever you need us to help you right away! Thank you for your interest in Certified Windows and Doors. A family owned and operated South Florida Home Improvement Contractor specializing in installing Hurricane Resistant Windows as well as replacement windows and doors! The company has over 35 years of experience in the South Florida area. They are proud to serve Broward and Palm Beach Counties with top workmanship as well as quality replacement windows and door products at fair prices. window and door installations and replacements We pride ourselves on carefully listening to our customers and doing whatever it takes to meet their needs. We are committed to correct, complete, on-time and damage free delivery. See our client testimonials and you'll be convinced of the quality work we provide! Our goal is to continually strive to bring our customers quality products and exceptional service. Find out why should you choose Certified Windows and Doors Specializing in installing impact resistant windows, replacement windows and doors in residential buildings. Specializing in installing hurricane resistant windows, replacement windows and doors in hi-rise buildings. Complete line of specially designed impact and non-impact aluminum windows and doors. Available in anodized, white, and bronze powder coat painted finish. All of our hurricane resistant windows, replacement windows and doors are available at wholesale prices to contractors and window dealers both domestically and for the export market. Retail sales are welcome. If you are in need of hurricane resistant windows, replacements windows or doors, call us today at 954-977-7990 or email us today! Specializing in interior doors and hardware supply, VANADoors is here to help you with all your doors and accessories needs. Have a specific style in mind? Trying to stay within a budget? Looking for a special hardware? Our in-home design consultants will help you choose the perfect doors for your home. VANADoors is the fastest and most reliable source for interior doors, Italian vanities and Italian hardware, providing superior quality and friendly service. Call us at (754)209-8352, chat with us or visit our showroom and see for yourself what a difference VANADoors can make for you and your interior.